Without level control, with hd suspension. With sport suspension. With firm suspension. H.d. suspension. Sport, se, sle. All models. Cadillac. Sport, all. Air strut. Without limo. Buick, oldsmobile. With soft ride susp. Without auto leveling. Standard, with level control. Without electronic leveling. 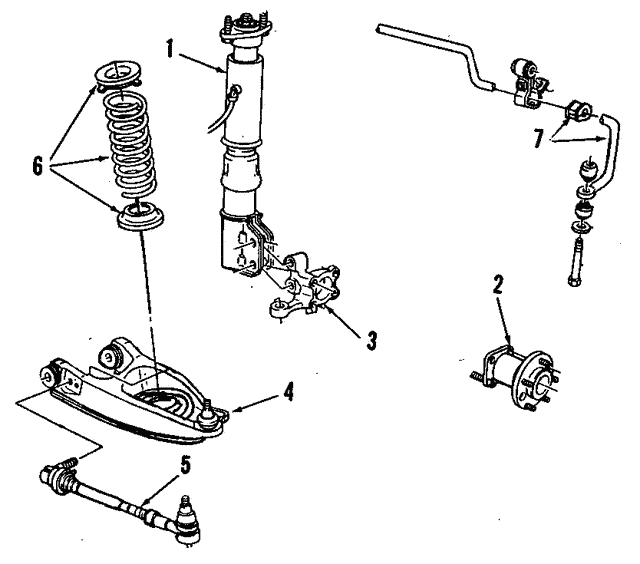 Notes: Included With Tie Rod Assembly.